Until lately the Sonrise Children’s Home was situated in a rented building which didn’t provide enough room for the increasing number of children for some time. Thanks to some donations we were able to buy a piece of land in Kamuli which is roughly a two-hours drive away from Jinja. There are several reasons why we bought a piece of land that far away. It was not only the prize, but also the Sonrise Ministries founders’ vision to help people not only within but also outside of their own organisation. The extensive project envisages the construction of several buildings like a number of residential buildings for the children and staff, some school buildings, water wells, sanitary facilities, solar collectors, offices, a cafeteria, a hospital, a library, a guest house, a farm and many more. The project will be realised according to the incoming amount of donations. It will also benefit the surrounding community which currently lacks a school, hospital and only offers a few jobs. The children moved in February 2018 to the first three urgently needed duplex residential buildings. 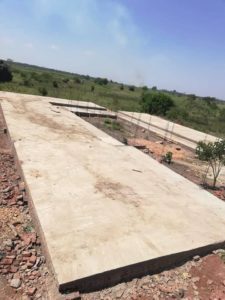 Before the non-profit organisation was founded we were already able to collect 30,000 Euros for the first school block, which also started in February 2018. This block is a Primary School. Furthermore we were able to buy some farm animals. In order to give further children access to education, the most urgent donations are currently needed for a Nursery School block, for further sanitary and solar systems, for the furnishings, many household goods and school articles. The foundation of the Nursery School has already been laid. The development of Peace’s Hope e.V.